Professionals working in mines, construction sites, oil rigs and factories are highly exposed to the dangers of injuries. Injuries caused by the fall of heavy objects can cripple an individual and sometimes even prove to be fatal. Leakage of gasses or spilling of chemicals also accounts for many industry related mishaps. Therefore, to ensure a high level of safety at the workplace, companies often make it mandatory for workers to use safety products such as safety shoes, safety gloves, fall protection equipment, respiratory masks, safety jackets, hearing protection etc. At Moglix, we are aware of concerns that loom in the minds of professionals and technicians. Therefore, we have assembled an exciting collection of products and devices as a part of our category. The products that we have on offer have been sourced from well-known brands such as 3M, Bata, Allen Cooper, Safari Pro, Safety Sign Store, Hillson Shoes etc. The products selected by us are subjected to quality tests in order to match the expectations of buyers. To acquire details on the products that we have on offer, check out our subcategories within the safety range. The safety shoes and gumboots which are available at Moglix have been manufactured by well-known companies such as Allen Cooper, Bata, Hillson, Safari Pro, Karam etc. These shoes are available with different types of soles such as compact PVC, Airmix, Airmax, Antiskid Lug, Direct Injected, Direct Injected PU Sole and Direct Injection PU etc. Most of the shoes that Moglix has on offer are abrasion, chemical and oil resistant. We also deal in safety footwear that is non-slip and shock resistant. The gumboots which are available at Moglix are equipped with a protective steel toe and a soft and flexible PVC. These gumboots comply with existing ISI specifications. The shoes that Moglix has on offer are perspiration resistant and can, therefore, check sweating for long hours. They can thus be worn for long hours by professionals and technicians while being on the move. Our safety shoes are suitable for use in industries such real estate, steel, iron, drill, metallurgy, logistics etc. To know more, you can visit our safety shoes buying guide. Safety goggles are highly effective in protecting the eyes from sparks caused during industrial applications such as welding, drilling etc. To maximize the protection of users, Moglix presents an exciting range of safety goggles with exciting features. The UV protection glasses which are available at Moglix have been created using a smoked lens. They are highly efficient in protecting the eyes of the wearer from UV radiation while working outdoors. The safety glasses available at Moglix have been sourced from brands such as 3M, Karam, Super deals, Frontier, CL, Zoom, Savior, Innovision, Escorts etc. These safety glasses are equipped with an anti-scratch lens. Keeping in touch with the changing needs of professionals, Moglix is also offering safety glasses that are made from high-quality polycarbonate material. We also deal in products that goggles that come with a wraparound lens. To acquire details about our product price, you can check out our latest range of safety goggles online at Moglix. Construction workers who work at great heights are highly vulnerable to falling. To ensure a high level of security among professionals working in the construction industry, Moglix has come up with a new range of fall protection equipment. The fall arresters that are available as a part of our collection can help users to stay safe from serious accidents. These fall arresters also help users to avoid falling even when they lose balance while working at great heights. Full body arresters are highly useful while you are working outdoors can ensure a high level of safety. Use of these devices can, therefore, help you to work safely while working in great heights. But, that the fall arrester you buy has a proper fitting, you need to perform occasional inspection and servicing. 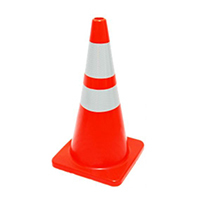 Devices such as traffic cones, safety barriers, delineators, road studs, speed breakers and bumps. To ensure a high level of safety among drivers and help traffic police handle traffic with a high level of safety, Moglix offers a wide range of wide variety of products as a part of the traffic safety category. The new range of road studs that are available as part of the traffic safety category is created from ABS/aluminum. They have been designed by expert engineers with precision to ensure that it can bear the maximum load. High reflective reflectors which are molded in PMMA material have been fitted into the stud. The stud’s reflectors have been welded with an ultrasonic ABS base plate through ultrasonic welding process to keep it safe from water and dust. This ensures that the interior portion of the reflector can maintain its reflectivity over a long span of time. The traffic cones come with a high reflective sleeve/ sheeting which is fixed on them to provide clear vision both during day and night and also under bad weather conditions. The new models of traffic cones can also help users to fix a plastic chain, light bar, reflector, message plate, road lamp or caution tape. 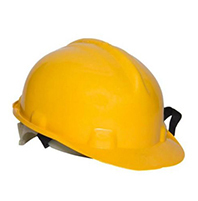 Safety helmets protect the heads of workers from head injuries caused by the falling of heavy objects. Head related injuries are quite common at construction sites, warehouses etc. The new range of safety helmets that are available in the Indian market is equipped with a chin strap and resistance to fires as well as electricity. These helmets are resistant to shock absorption as well. They can be used in a wide range of industries such as iron, steel, metallurgy, mining, petroleum refining, petrochemicals, oil & gas etc. They safety helmets are capable of absorbing water and are therefore suitable for use throughout the year, under all weather conditions. The helmets which are available online at Moglix are highly suitable for use by engineers while working outdoors sourced from top brands like 3M, Karam, SuperDeals, Safari Pro, Novasafe, Safetech, Turbo, Heapro, Escorts and Udyogi Etc. The use of safety gloves is not only confined to office places but to workshops and homes as well. The use of these gloves can keep industrial users safe from deep cuts and abrasions while using different types of machinery. The safety gloves that are available at Moglix offer high quality of protection from high voltage electrical currents. 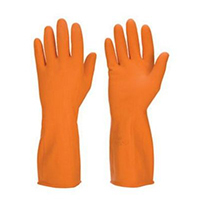 The gloves which Moglix has on offer provide safety from chemicals and liquids which may cause burns through spilling. The gloves which are available online at Moglix have a goof fitting and offer users with a smooth grip of industrial tools and machinery. The safety gloves that are offered by Moglix have been sourced by procured from brands such as Shiva, HONEYWELL, Anchor, Crystal, Ansell, Banian, Prima and Amruth etc. Respiratory masks are essential among workers who are engaged in industries such oil & gas, petroleum refining, petrochemicals etc. The new range of respiratory masks are offered by Moglix provide a high level of protection to users from dust, dirt and mist. They are equipped with a stapled headband which these masks easy to use. These respiratory masks have a high exhalation value and are available with neo-oil aerosols. They are highly suitable for use in welding, plugging etc. The respiratory masks which are offered by Moglix online have been sourced from well-known brands such as 3M, Sorbent, Globus etc. To acquire details on the price of respiratory masks online, browse through new collection offered by Moglix. The ears are one of the most sensitive parts of the human body. Daily exposure to loud noise caused by industrial applications can cause a serious hearing problem to industrial workers. 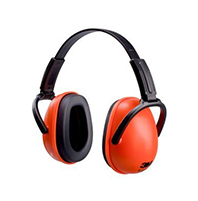 To ensure optimum protection to industrial and workshop based users, Moglix has come up with a new range of hearing protection equipment such as ear muffs and ear plugs. The ear muffs that are offered by Moglix come with a cushioned headband which offers a high level of comfort for long hours. They are light weight and can also be utilized along with an earplug to ensure nominal hindrance in working. Our new collection of ear muffs has a wide ears cushion, deep ear cuts for superior fits and height adjustment that offer a proper fit. They are equipped with foam filled cushions which ensure a high level of comfort while use over long periods. Safety jackets are widely used by workers engaged in railroad, airport, and highway construction. They are highly effective in ensuring the visibility of workers to drivers while passing through dark areas. The safety jackets which are available at Moglix are highly reflective, lightweight and have a fine finishing. They come with a neat stitching. The safety jackets which are available at Moglix have been sourced from well-known brands such as Safari, Novasafe, Innovision, Hosiery, Creative, Ananya etc. 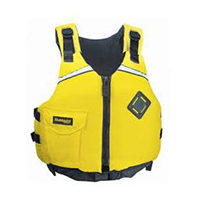 To acquire more details on safety jackets, you can check the subcategories of safety jackets online that we offer. How to Select Safety Products? 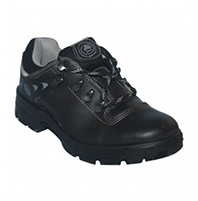 You can select safety shoes on the basis of their features and sole type. Most of the industrial safety shoes that are available in the market are equipped with PVC, PU, and TPU soles. If you require safety shoes that are suitable for use throughout the year, then you need to opt for shoes which are water resistant. The new collection of safety shoes which are offered by Moglix is shock resistant, abrasion resistant, heat resistant and chemical resistant. They offer users with metatarsal and bacterial protection. Safety shoes can also be selected according to the type of industry you are working in. Footwear that come with oil resistant outsoles, for instance, can help aviation professionals to deal with heavy machinery. Safety goggles which are made from premium quality of virgin resin polycarbonate material are known to offer effective eye protection for years together. Goggles with recycled resins are cheaper and have a higher degree of distortion. Their yellowing lenses also have poor durability. Zero distortion will enable you to view everything with greater clarity through safety glasses. You will be able to wear these types of lenses over a long span of time without any strain to the eyes. The fittings of the safety glasses are also an important factor which you will need to pay adequate attention to. One rule of thumb that you can follow is to check the width of the frame and nosepiece, length, and angle of temples. Safety glasses usually have a width between 4-6 inches from one temple hinge to another. 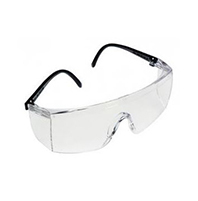 Most of the safety glasses are made from normal size nosepieces and suits well for most people. You can acquire a higher level of comfort if the goggles which opt for come with a number of additional features. In case the pair you opt for comes with soft-nose pins, you will acquire a higher level of comfort. If the glasses have a soft piece on the area around your temple tip, then they will ensure a smoother fitting around your ears. The availability of replacement lenses can to a great extent bring down maintenance costs. Since the lens is the costliest part of safety glasses, it is always wise to look for goggles that come with replacement lenses. At present, there are numerous replacement options which are available in the Indian market include clear, gray, mocha, amber, silver mirror etc. Good Safety Harness-This type of harnesses is ideal for use by professionals who need to use them once in a while. They are usually compliant with the latest industrial specifications and are affordably priced. However, they do not offer a high level of comfort. 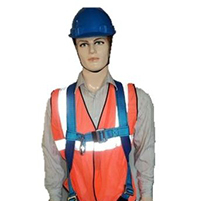 Specialty Safety Harness- This type of harnesses is designed for a particular type of job. This type of harness is of different types. Better Safety Harness- An ideal option for professionals who are looking for harnesses within a reasonable range, these harnesses have more features than good safety harness. Premium Safety Harness- This type of harness has a high level of comfort and features. The harness can be worn by users throughout the day while working at great heights in construction sites. Traffic Cones- Collapsible traffic cones that are being offered by Moglix have a high visibility during the daytime rather than night. These traffic cones also have greater visibility during the night since they are illuminated from their interiors using the battery powered light and LED light with two-mode light up modes- ‘’flash’’ and steady on. They are equipped with rubber feet and can resist moving from high winds or passing vehicles. The traffic cones which are available at Moglix are flat and occupy limited space within a vehicle when they are not in use. Road Studs- Precedence should be given to studs which have a dynamic design since they can put up with maximum load. Reflectors with high reflection capacity, which are molded in PMMA material are fitted on these studs. These reflectors are welded with ABS base plate using ultrasonic welding process to ensure that water and dust don't touch their interior. This helps in maintaining the reflectivity over a long span of time. Speed Breakers and Bumps- While looking for speed breakers and bumps, a buyer should always look for bumps which offer high resistance against severe impacts. The new collection of speed breakers and bumps offer a high range of resistance to UV temperature and moisture. They come with a standard skid resistant base and can be installed with a short span of time using spikes and epoxy for anchoring. The presence of UV stabilizers ensures that permanent colors don’t fade within a short span of time. Convex Mirrors- While selecting convex mirrors, you will need to ensure that you choose a model of the correct size. Opting for a convex mirror of a correct size depends on factors such as determining what you intend to view in it, its distance from the mirror and where it is being mounted. Safety Barriers- Your preference should be for those safety barriers that are economic and efficient and offer optimum protection from unpredicted traffic. It is essential to procure the barriers from well-known manufacturers since quality is of paramount importance. If you are buying barriers primarily for use in events, then you need to opt for the ones that have high portability. Water-filled barriers can prove to be highly useful under such circumstances. Use of reviews can ensure that you buy a barrier of good quality. It should also fit into your budget. Water-filled barriers are highly effective in regulating crowd traffic. Danger Signs- Since these signs are used to warn against immediate danger, you need to have a clear view on the recommendations of OSHA. OSHA instructs that red, black and white colors need to be used as danger signs. Fire Safety Signs- Fire safety signs are of different types such as warning signs and prohibition signs. 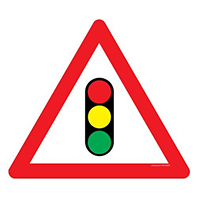 Signs which prohibit an activity come with a red circular band and single diagonal cross bar which moves down from left to right. The background needs to be white while the pictogram needs to show the command in black. Warning signs- These types of signs warn against a specific type of hazard. Warning signs come with a black band which is in the shape of an equilateral triangle. You should look for the ones whose background within the band is yellow. It will signify the type of hazard in black positioned in the middle of the sign. Usually, people focus on color, design, and price, your major area of concern should be the level of protection that a helmet offers. Use of full-face safety helmet can ensure optimum protection since it will cover your head and face. Such a design comes with a flip-up face shield which protects the user’s eyes. A three-quarter or open-face helmet could also offer a high level of protection. The usage of safety gloves isn’t confined to factories and workshops but homes also. Therefore, you will need to have a clear idea about the exact purpose for which you will use the gloves. Apart from the fitting, you also need to check the material which they are made from. A number of safety gloves models can be laundered and therefore they don’t need to be disposed of after being used. To ensure that you stay safe from cuts, you need to go for gloves which are equipped with cut resistant glove shells. This type of gloves is abrasion resistant and can, therefore, be used over a long period of time. 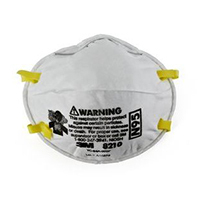 Respiratory masks that are used in industrial applications need to be oil proof. The masks which are equipped with adjustable nosepieces normally have a tighter fit. If comfort is something which is at the top of your mind, then you should opt for masks which come with exhalation valves. As for professionals who are exposed to highly toxic particles, use of non-disposable masks with sealing gaskets would be the ideal choice for daily use. Earplugs- The earplugs which are available at Moglix have been created from the best quality of polyurethane material. These earplugs are available in a size which fits all ear canals. It is suitable for blasting, cleaning, assembly, demolition, electrical facility, machine operations and grinding. Ear Muffs- The ear muffs which are available at Moglix come with a cushioned headband which offers a high level of comfort throughout the day to the wearer. The lightweight of these ear muffs causes minimal hindrance in the mobility of the user. These cushions are filled with foam and can, therefore, be used over long time periods by the user without feeling any type of discomfort. These ear muffs are suitable for use in industries such as real estate, paper processing, petrochemicals textile, railways etc. Safety Shoes- One effective way to take care of your shoes is to change them on a regular basis. You can wear casual shoes rather than safety shoes once you return from your workplace. The leather is a natural fabric which requires time in order to recover. When kept indoors, leather shoes take almost twice as much time to get perspiration moisture in leather than they do while absorbing it. Therefore, if you have used a shoe for around 7 hours, make sure that it is kept as it is for 14 hours. Safety Goggles- Abrasions on glasses can make them unusable. Therefore, make it a point not to use abrasive cleaners to clean safety goggles. The safety glasses need to be cleaned on a regular basis. You can rinse the glasses using cool water for debris removal. Once the dirt has been removed, dry them with a soft cloth. You can also make use of a can of compressed air in order to remove the dust and dirt. The best option is to utilize a cloth which is specifically meant for cleaning glasses. Pre-moistened lens towels. Safety Helmets- To clean safety helmets from time to time, soak its headline in mild, soapy water. Avoid using solvents or chemicals in order to clean any part of the helmet as they might destroy protective coatings and damage its structural integrity. The air vents and channels of helmets can be cleaned using air compressed air. Let the headliner to air dry completely post washing and in between usage. Safety Gloves- Check the gloves with care before you wear them. Check whether they have any cracks, holes or tears or not. Chemicals can drip into your hands even from minute holes. If the gloves you are using are disposable, then it would be wise to replace them immediately. Apply soap and water on your hands before you put on the gloves. Make sure that the gloves are tightly closed outside the sleeve. In case you have to deal with liquid chemicals on a daily basis, you can utilize a heavy-duty tape or elastic band to seal the edge of your gloves. Make use of soap and water to wash the gloves before you take them off. Make it a part of your routine to wash your hands with care after taking off the gloves. Store the gloves in a container after you are finished with the day’s work. Respiratory Masks- Before you start cleaning your respirators, wash your hands with care. Once you have done that, disassemble the respiratory masks. You can take the help of the written instructions that usually come with masks. Once you have done that, hand wash the respiratory mask with warm water and a disinfectant soap. Why Opt for Safety Products at Moglix? At Moglix, we have a good perception of the challenges that are faced by technicians, industrial workers, and engineers on a day to day basis. Therefore, to address their concerns, we have assembled an exciting range of safety products ranging from safety shoes and helmets to safety gloves and safety goggles. Our sourcing team plays a proactive role in procuring quality products from suppliers based within India as well as overseas. The items sourced by us undergo a number of quality tests before being dispatched for delivery. We have maintained a wide price range to ensure that the products offered by us meet the budget of our buyers. At Moglix, we highly value the safety of technicians, industrial workers as well as mechanics. Therefore, to address their needs, we have sourced safety products from some of the most eminent brands in the market. To acquire the best deals on safety products, select from the exciting collection available within the different subcategories that we offer.